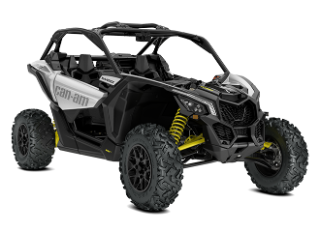 Roll on with strong 14-in cast-aluminum wheels and 28-in Maxxis Bighorn 2.0 six-ply tires. Built to withstand rough terrain, sturdy lugs and a non-directional tread pattern ensure a smoother ride. 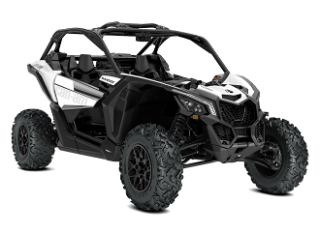 The Maverick X3 is equipped with FOX 2.5 Podium Piggyback shocks with front and rear QS3 compression adjustment and rear bottom-out control on all four corners for precise, tweakable performance.